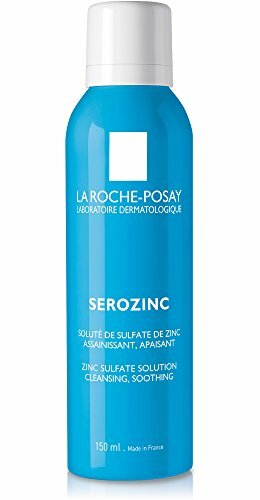 La Roche-Posay Serozinc Mattifying Face Toner Spray for Oily Skin with Zinc, 5 fl. oz. Product prices and availability are accurate as of 2019-04-20 08:39:50 EDT and are subject to change. Any price and availability information displayed on http://www.amazon.com/ at the time of purchase will apply to the purchase of this product. Serozinc Mattifying Facial Toner Spray for Oily Skin visibly mattifies skin. This facial toner is formulated with only three ingredients making it the perfect choice for anyone with oily, sensitive skin. It contains Zinc Sulfate and Sodium Chloride, specifically designed to target key signs of oily skin. 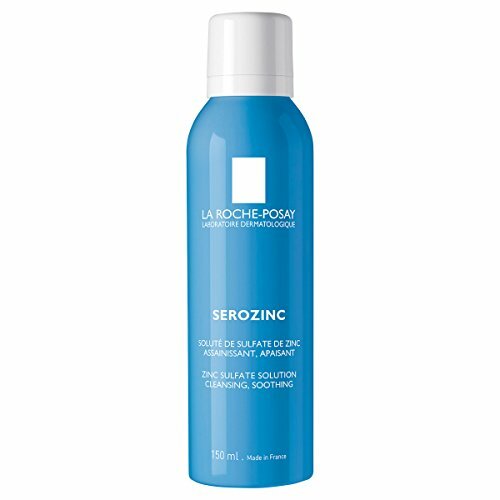 Use Serozinc as a facial toner after cleansing. It is gentle enough for everyday use. Spray toner onto skin after using a cleanser suitable for oily skin. Close eyes while spraying. Leave to absorb for a few minutes, gently pat off any excess. Follow with a oil-free, non-comedogenic moisturizer. Ingredients: Water, Sodium chloride, Zinc Sulfate.